CMM for Device-Link color conversions for DTP and image editing apps. Is there a better alternative to basICColor demon? Is basICColor demon really the best app in Image Editing category? 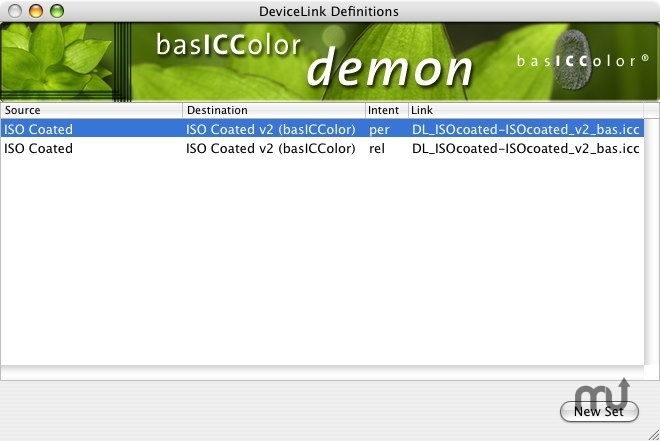 Will basICColor demon work good on macOS 10.13.4? basICColor demon is an intelligent CMM (color matching module) that allows for the first time to use Device-Link color conversions to be done in standard DTP and image editing applications like Adobe Photoshop, InDesign, Illustrator, Acrobat and others. NEW: Support for OS X 10.7 Lion. basICColor demon needs a review. Be the first to review this app and get the discussion started! basICColor demon needs a rating. Be the first to rate this app and get the discussion started!